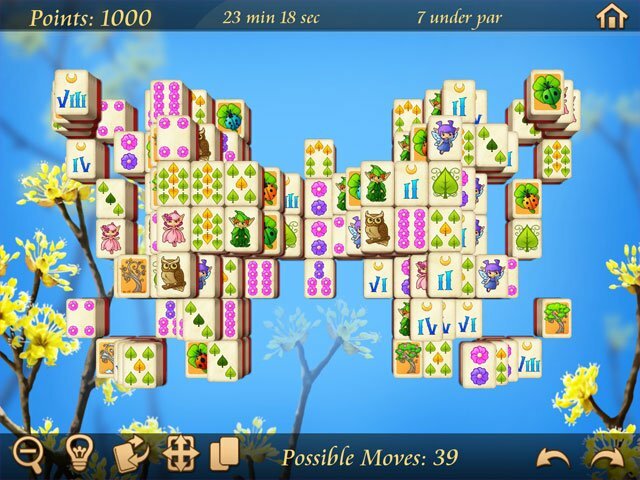 Springtime Mahjongg offers three exciting variants of the traditional Chinese board-game. 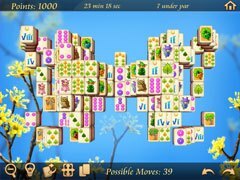 Springtime Mahjongg offers three exciting variants of the traditional Chinese board-game: Parade-Mahjongg, Duel-Mahjongg and Classic Mahjongg. 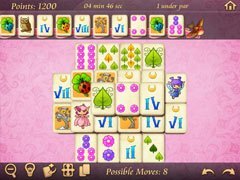 Parade-Mahjongg is a fast paced variant of mahjongg, where time is not on your side. Especially in higher levels this offers a true challenge for all gamers. Whilst Duel Mahjongg allows the player to take on the artificial intelligence of the Duel master himself. Finally Classic Mahjongg is the well known and beloved classical version of the famous board-game. These two variants require strategy, quick thinking and a little luck to master. Enjoy Unique and hand drawn tile-sets which can be paired with beautiful color-coordinated backgrounds. All three variants offer many challenging boards, extras and option settings. 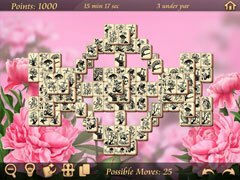 - Comprehensive Mahjongg with many extras. - Choose your favorite perspective and level of zoom. - Casual game mode for a quick Mahjongg fix!